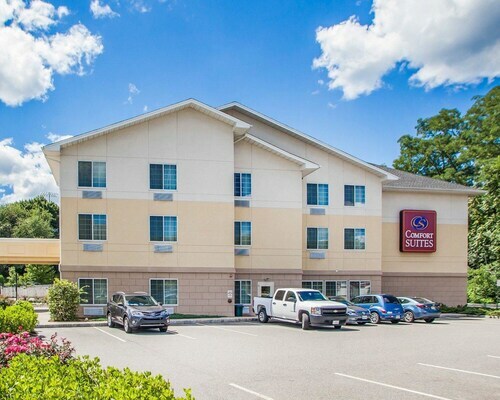 Situated in Mahwah, this hotel is 1.8 mi (2.8 km) from Ramapo College of New Jersey and within 9 mi (15 km) of Campgaw Mountain Ski Area and New York Country Club. Ringwood State Park and Harriman State Park are also within 12 mi (20 km). Mahwah Station is 18 minutes by foot. 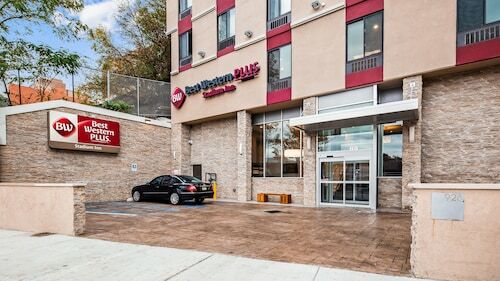 Situated in Mahwah, this hotel is within 6 mi (10 km) of Ramapo College of New Jersey, Suffern Railroad Museum, and Ramapo Valley County Reservation. Lower Hudson Valley Challenger Learning Center and Campgaw Mountain Ski Area are also within 6 mi (10 km). 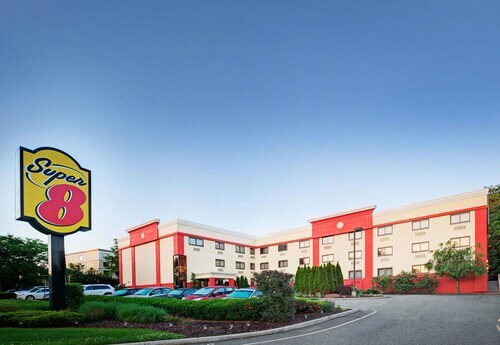 Situated in Mahwah, this hotel is within 6 mi (10 km) of Ramapo College of New Jersey, Campgaw Mountain Ski Area, and Suffern Railroad Museum. Ramapo Valley County Reservation and Lower Hudson Valley Challenger Learning Center are also within 6 mi (10 km). 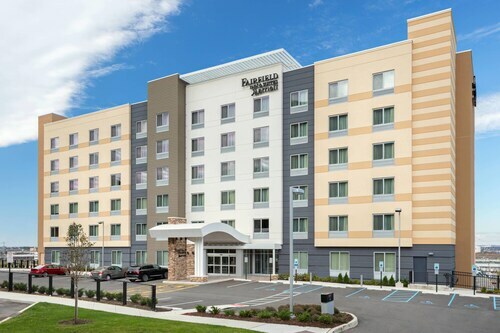 Situated in Mahwah, this hotel is within 6 mi (10 km) of Ramapo College of New Jersey, Suffern Railroad Museum, and Ramapo Valley County Reservation. Campgaw Mountain Ski Area and Lower Hudson Valley Challenger Learning Center are also within 6 mi (10 km). 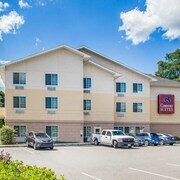 Situated in the business district, this hotel is within 6 mi (10 km) of Ramapo College of New Jersey, Suffern Railroad Museum, and Campgaw Mountain Ski Area. Lower Hudson Valley Challenger Learning Center and Ramapo Valley County Reservation are also within 6 mi (10 km). 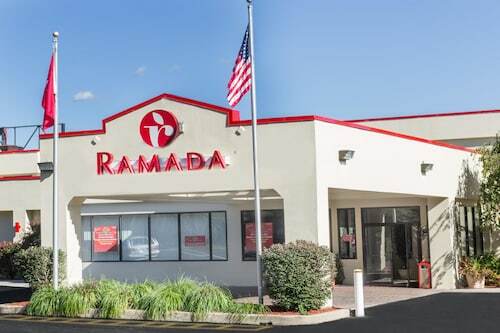 Situated in the business district, this hotel is 1.3 mi (2.2 km) from Ramapo College of New Jersey and 1.7 mi (2.8 km) from Suffern Railroad Museum. Lower Hudson Valley Challenger Learning Center and Ramapo Valley County Reservation are also within 6 mi (10 km). Mahwah Station is 24 minutes by foot. 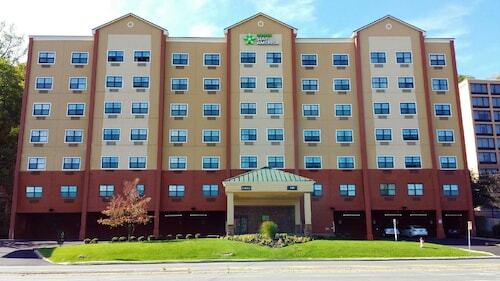 How Much is a Hotel Room in Mahwah? 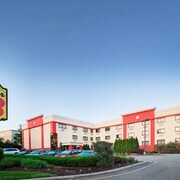 Hotels in Mahwah start at $75 per night. Prices and availability subject to change. Additional terms may apply. Pack your bags—it’s time to embark on a getaway. 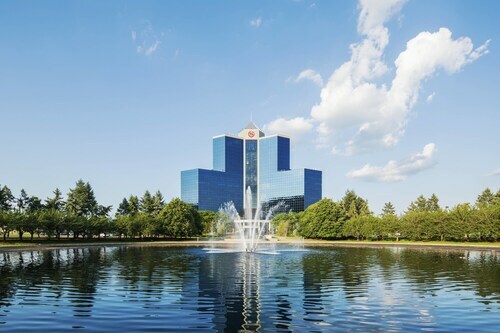 Whether you’re craving a solo retreat or promising your family a vacation to remember, book one of the best hotels in Mahwah. These hotels are located within easy access of the city’s hottest attractions and entertainment, so you won’t miss a beat while you’re in town. Spend the days exploring the local landmarks and the evenings getting to know the nightlife. After exploring the city from top to bottom, rest up at a hotel that speaks to you. Find the perfect place that matches your trip’s vibe, from a trendy boutique to family-friendly accommodations. 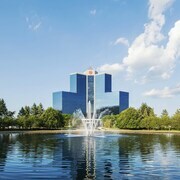 Allow us here at Travelocity to pair you with up Mahwah hotels that suit your vacation preferences. Discover places with convenient on-site restaurants, around-the-clock service, and pools where your kids can make a splash. Some hotels may boast fitness rooms and spa services, while others feature game rooms and Wi-Fi access. To top it all off, you’ll score cheap hotels in Mahwah that let you spend more on your activities and less on your lodging. Book and bundle your flight and hotel deals together today and save up to $537. It’s time to explore a new city, and break out of your routine. Finding the entrance of the hotel was a lil tricky bc google maps brought us to the back parking lot but we were buzzed in by Jaylee at the front desk. We arrived wayyy early and she got us into a room. Very personalable which was refreshing after just coming from Manhatten. 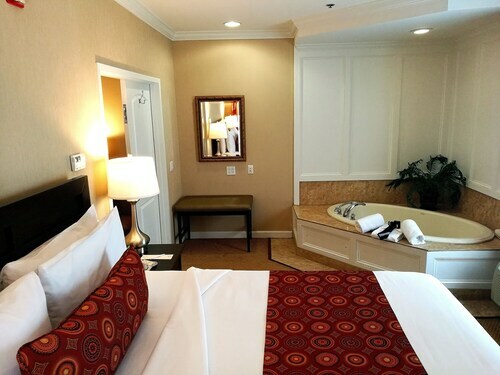 The rooms are spacious, clean and the window even slides open which is a rare treat these days. It’s a lovely property. The room service pizza and cheesecake were overpriced and mediocre. The bed was comfy and clean. Breakfast was nice. I’d stay here again. The room was clean，the staffs were nice， and the check in was quick. I booked a queen sized bed room and when I got to the hotel, after waiting to check in for 35 minutes, I was told there weren’t anymore queen sized beds available although that’s what I paid for. I ended up having to sleep in a room with two double beds. The room was very nicely decorated. However, there was a drip in the bathroom all night.